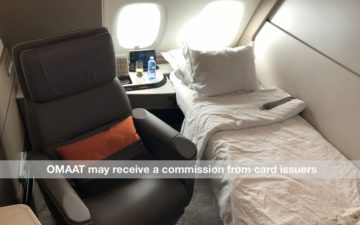 While I can’t personally vouch for this, US Credit Card Guide and MilesTalk are both reporting about rumored changes that me be coming to the Citi Prestige Card. This is supposedly per a memo given directly to call center reps today. However, I haven’t been able to independently verify this, and I wouldn’t take it as fact just yet. Citi stopped accepting applications for the Prestige Card a couple of months ago, as they said that they were working on refreshing the card with new benefits. I value the $250 airline credit more or less at face value, so the way I view, it you’re paying $200 per year for the fourth night free benefit, which I consider to be the single best perk of any credit card. That’s well worth it to me. So, what changes are rumored to be happening to this card? Obviously the fourth night free benefit being reduced from unlimited uses to just two uses per year is a big loss, though I also think it’s something that we all imagined would happen sooner rather than later. I doubt Citi is making money on those who use this card exclusively for the purpose of using this benefit constantly. That being said, if this card does offer 5x points on airfare and dining, this will be a killer card. It would be insane to see credit cards get this generous, as it seems the issuers just keep topping one another when it comes to benefits. So obviously it’s a mixed bag. Currently the Citi Prestige is a card I love for the fourth night free benefit. I’d still get value out of that if this changes, just not as much. But the addition of 5x points in some categories would be hugely beneficial as well. What do you make of these rumored Citi Prestige changes? Would I rather earn 5 TY, 4 AMEX, or 3 Chase. If Hyatt destroys the points-n-cash chart, then this becomes an interesting question. What are your thoughts on how they would handle outstanding 4th night free reservations? I currently have ones scheduled for January 2019, March 2019, March 2019 (again), May 2019, and May 2019 (again). This clearly is in excess of the two times per year change, but would they would honor them still because they have already been made? While I applaud the 5x, I’m afraid I’m going to lose the $350 grandfathered AF due to my previous Citigold account. But as they say, Citi gonna Citi. So we shall see. I know YMMV, but these changes would help me a ton. I use 4th night free 1-2 times a year which is enough to justify the annual fee but after redeeming points for an award with Avianca it was difficult to justify putting a lot of spend on. Increasing the point earning and keeping some semblance of the 4th night free (which I assumed would go away entirely) is awesome. Do you think they will honor outstanding 4th night free reservations beyond the two per year? I have 1 in January 2019, 2 in March 2019, and 2 in May 2019 already reserved. Surely they would have to honor these? 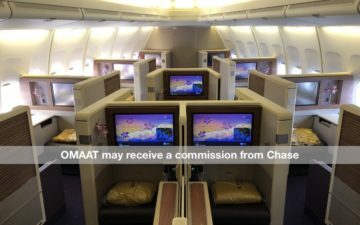 It’s now significantly easier to earn a ton of FlyingBlue, KrisFlyer, Asia Miles, and Virgin Atlantic miles due to the new AMEX and Citi cards. Do you think any of these programs will devalue their currencies as a result, or do the banks basically have a pay-as-you-go system where they pay the airlines for each mile? 4th night free to just twice a year? LOL they just lost a whole bunch of people. TPG is reporting that the 4th night free benefit isnt being limited until September 2019. Very generous notification if true. What is the logic of a person who currently uses the 4th night free a lot (say 10x/year) giving up the card? I cant see why they wouldnt get enough value out of the 2 most expensive stays a year to justify the annual fee (before accounting for very generous earning rates and travel insurtance). I guess if you are the type that only wants a single credit card I understand, but this still seems like an incredibly valuable card for anyone who travels. Citi TYP has the weakest line up of transfer partners, IMHO. Amex is now the strongest, followed by Chase. I understand diversifying, but I’m not sure 5x vs 4x is dispositive when I’d have to use them with Citi’s partners. I was planning on closing this card when my next annual fee came due. If they changes are true, I might just keep it. I was also planning on cancelling after they devalued all the insurance stuff. This doesnt change my thoughts. 5x is cool, but I think Im hanging this one up. They offer a Star Alliance, a SkyTeam, and a Oneworld transfer partner. That’s pretty solid. Plus others. 2 uses a year guts the card for me… AND an extra 50 bucks a year in AF? oh brother. TYP are not that valuable to me, and with Virgin Atlantic surely gutting their chart next year, TYP will be next to worthless for me. Will likely keep it until the 2 use thing comes in and throw it away. REAL short sighted on their part. With the commission on the hotel they get as the travel agent plus the swipe fee, I wager they actually “lose” money very rarely. Now I will toss this card. 2 uses does not help especially when most of mine are in the 100-200 range and I use it about 10x a year. I am not going to hold out already year hoping I use it on the most valuable stay and that I don’t end up with a more valuable one after using my 2x. As long as that keep 1-uping each other…I’m good!! @Stephen, that might be what Chase winds up having to do if they destroy Hyatt AND just to keep up. In fact wouldn’t it be nice if all the 1-uping resulted in no more 5/24…. 2/90… 3/4/5… 😉 . Yeah I got to agree that I don’t think people who use the fourth night free benefit all the time will suddenly ditch the card. I think the most I used it was three times in a year. Even twice a year if at an expensive property will recoup the annual fee. The big thing is they are trying to match other providers. Would have been nice if they bumped up the airfare credit to 300 but oh well. My current annual fee is 350, will it be 395 or 495? Can anyone confirmed? With 5X on dining and travel ( typ worth 1.25 cents per point) that’s not a bad deal to use points to redeem on travel. @T with the Citi bookings you do get elite nights and points. On average, Citi has said that users who use the 4’th night benefit, use it once a year. So people who are complaining are the few users of the 4’th night benefit that use it more than average. Even twice a year, you can make back the $200+ of annual fee that is remaining after the annual credit. Citigold/Private Bank customers I heard will still get the card for $350. Going to be interested to see what the opening point bonus is for this card. I have Amex plat, CSR and prestige. Now that I added Amex rose gold. I’m getting rid of CSR. The change in the prestige makes that easier since the Amex gold didn’t give 4x restaurant internationally. Will points still be worth 1.25c/each? @ T. — In part because you have historically received elite points/credits. I have now read 3 articles from Doctor of Credit, OneMileatatime, and Viewfromthewing on this change and 2 of the 3 claim it is confirmed yet none of them agree on the redesign of the card. Doctor of credit claims no 2X on entertainment while Viewfromthewing & Onemileatatime do. Also, Onemileatatime claims 3X on Hotel & Cruise lines, viewfromthewing claims 3X on all travel, and Doctor of Credit claims 3X on Cruiselines only. Also, doctor of credit is reporting points used on the thank you portal will go down to 1 cent per point versus 1.25 cents per point yet neither viewfromthewing or Onemileatatime are confirming this. Am very curious what the end product looks like. This going to be considered a new product for sign up bonus purposes or still need to wait the 24 months from open/close of the last prestige card. I never found the 4th night free a great benefit. And with AirBNB and other avenues arising it gets less and less attractive. I am happy with the new structure. I dont get why people don’t understand that the 4th night free was unsustainable. You can still come out ahead at 2 uses. I mean people are redeeming for $1000/ night Aman and Four Seasons. Multiple times a yr. Citi cannot sustain $800 losses multiple times a yr on customers. Most are not using this benefit at country inn and suites. The 4th night free is overrated for me. My wife and I rarely spend 4 nights in any given city. Transfer times to get these points to an airline is awful compared to Chase or Amex. Maybe easy to earn but very hard to burn. That’s very sad that they are limiting to two stays. I definitely use more than just twice a year for 4th night free. I guess now I will just limit it to the most expensive stays… do anyone know if I have more than 2 stays booked for next year, will they honor it? Tia. The Points Guy has the full story straight from Citi, no rumor. @ Bill — That remains to be seen, but I’d guess it will be considered the same product. I used the 4th night free 15 times in 2016 (netted +$2,856), 10 times in 2017 (netted +$2,015), and 3 times in 2018 (netted $656). Definitely understand why it wasn’t sustainable, but it still stings a lot. That being said, it looks like my average 4th night free redemption was around $200/night, so even if I only get to use it twice a year, I’ll still come out “ahead”. Reducing 4th night free is a big loss for me. I’ve had the card for 2 years and used it 4 times in my first year and 3 times in my second with total savings of over $2,000/year. If I can only use it twice, it will probably reduce the value of the card by around $1,000/year. The only improvement to offset this is the 5x airfare/dining but this would probably translate into to maybe 25,000 extra TY points per year. 5x for airfare and dining is 5x Thank You points, not 5x for direct transfer to an airline program like AmEx. I don’t view Thank You points the same as direct airline points. I still prefer the 3X AA miles given by Barclay Silver, over the 5x from AmEx. The $495 cost minus $250 makes the card $245. You need to use the 4th benefit at hotels costing $123 per night or more. Maybe use at $200 per night (I rarely stay at hotels over that price point) and you are ahead a little. But is it worth it? Since you have to book the hotel through the Concierge (if you are using a discount code). My thought, cancel the card and more those charges to the AmEx Plat card. I’ve benefited from 4th night free tremendously… no doubt Citi is not making much money off me. This benefit is usually for people who likes to stay at high-end leisure properties. When my family travel, we typically stay at one place no more than 4-5 nights and stay at 2-3 different places on each trip. And as a Hyatt Globalist, I get full elite benefit and nights credit unlike bookings at OTAs or credit card travel portals. WIth rooms going for as much as $400-500 a night, 4th night free benefit represents 20% off in most cases. But for budget minded travelers or travelers with short stays (3 nights or less) or extended stays (6 nights or more) or those of you who does not have or care for elite benefits, this benefit will be useless. I recently had an opportunity to stay 4 nights at Viceroy Bali which has standard room going for well over $600 a night when booking directly. Naturally I was going to use the Citi to book it directly but ended up finding much lower rate at Agoda.com surprising. It was much cheaper than booking direct with 4th night free factored in. So that will be another case where 4th night free benefit will be useless. One factor I haven’t seen mentioned is that the Prestige card has flight delay/cancelation benefits. I put my airfare on the CSR because I’d prefer to have 3 UR + insurance over 5 MR. 5 TYP + insurance is probably the new winner. I use the 4th night probably 5-6x per year on average, it will be a loss but I can still target some pricey travel weeks to get a lot of value from my 2 uses. I couldn’t believe they didn’t cap this during the previous devaluation. How is Citi not a “direct transfer to airline program?” It literally does just that. Citi’s suite of partners lags Amex, but not by much IMO. Beyond their common partners (Air France, Singapore, Virgin Atlantic, Etihad, JetBlue), Amex has Delta, BA, ANA, and Aeroplan (the rest are junk), while Citi has Avianca. Sure, I’d take Amex’s partners over Citi’s, but at 5x dining vs Amex 4x (Gold) vs Chase 3x, Citi is very compelling. Also beats Amex in travel insurances, as someone else mentioned. @Brett. I completely agree with you. Besides the 4th night free, another useful benefit with Prestige is the flight delay / cancellation, and baggage delay benefit. Lucky had a post about pros and cons of putting airfare on AmEx 5x vs Prestige 3x (to take advantage of the superior travel protection) and when to put airfare on Prestige. This summer while travelling on TAP from Spain to Lisbon, the airline misplaced the luggage of everyone on the reservation (4 of us). Fortunately the tickets were charged on Prestige. It took 48 hours for our luggage to get back to us. We took advantage of the $500 per person ($2000 total) compensation from Prestige to buy clothes, cosmetics, soccer jerseys, sunglasses, etc. On the same trip, my son took a different flight home, but his Delta flight was cancelled due to weather at JFK. Since this ticket was also booked on Prestige, I was able to get $500 compensation for a night of hotel and meals on top of the compensation from Delta. Now, that airfare is 5x on Prestige, it’s a no brainer to use Prestige instead of AmEx Plat or CSR. Hilarious that folks are claiming they will ditch the card if it drops to 2 uses. So, you mean tell me that you use it so much that now that it drops to 2 uses, you can’t save a whollllle $200? Now, this year, I used it 3 times: Cabo $450, Jamaica $200, and Jamaica again $321. 4th night free credits were $971. Even if I used it just twice under the new guidelines, I make out so please, stop being disingenuous. This card will still offer real cash value compared to even an Amex Platinum (which I refuse to get and I have 5 premium cards). I also welcome the cellphone protection although the Uber card has this as well with no AF. The people who only use this card to save $2,000+ / year in 4th night free – they talk about ditching the card so vindictively, as if Citi failed in keeping them as customers. WRONG! That’s exactly the point of these changes…Citi does NOT want you as a customer. The joke is on you!